I have some things spiraling out of control in my life right now. 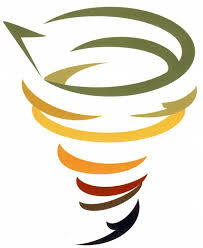 I’m not sure if the spiral is going down or up… but I’m thinking that all great change comes after the worst upheaval. I also believe that even when bad things happen, God uses those very things to propel us to our highest purpose. No worries, I’m hanging in there and of course, keeping my sense of humor. You are also the queen of recovery. You are strong, resilient and hilarious! You’ll prevail! Thank you! I needed to hear that tonight.